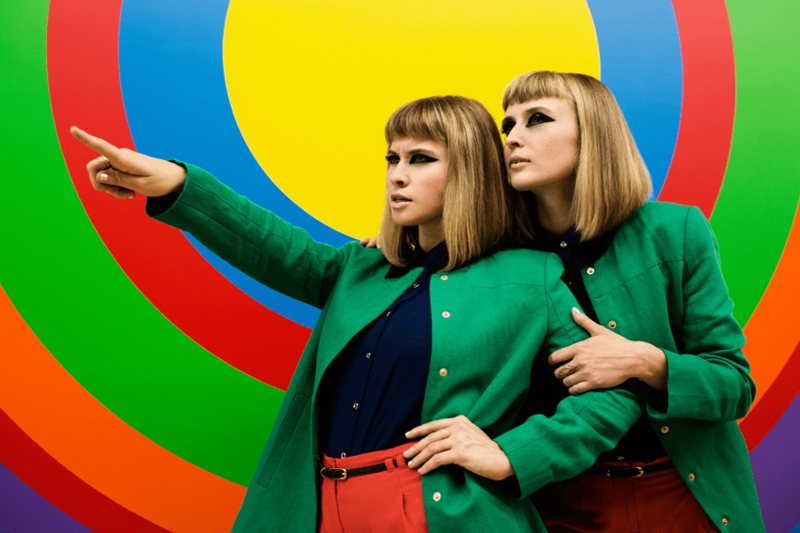 “We will only be bound by the things we choose,” croon Holly Laessig and Jess Wolfe – better known as Lucius, the vintage-soul duo that’s taking ears by storm with their magnetic indie-pop revolution. Possibly a newer name to some, but certainly no strangers to the music scene. Nearly a decade ago Jess and Holly met while attending Berklee College of Music, later moving to Brooklyn together after graduating in 2007. Their goal? A life and career in music. Five years later, after time experimenting with their sound and assembling their band via neighbors and friends, we have the game-changing debut album Wildewoman – a wonderful representation of who they are, who they’re becoming, and the path it’s taken to get where they are today. Laessig and Wolfe bonded pretty quickly at college, sharing influences such as The Beatles, Otis Redding, Sam Cooke, and David Bowie. When they moved to Ditmas Park in Brooklyn they found a huge Victorian mansion on Craigslist. Knowing nothing of the history of the home, serendipitously it housed “vintage organs and a grand Steinway piano from the 20s”. It was on that old piano, in the home with nine musicians, two bathrooms, and one kitchen, that most of these songs were written. The album kicks off with its title-track, for a change. Rightfully so, as it sets the record’s tone, introduces who Lucius is, and gives the listener insight they may even relate to. The acoustic guitar on the track sounds like it could be in the same room as you. Their vocals and harmonies are what take center stage, right off the bat, though. Lucius definitely will not be confused with the sounds of any other artists out there today. 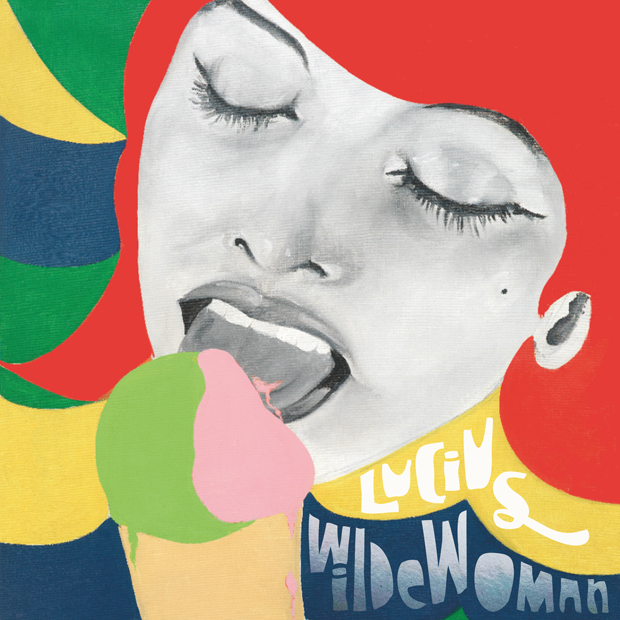 The rhythmic gallop of “Wildewoman” makes it hard to stay still. The sound will resonate in your head and make you feel as if you’re riding horseback between two majestic mountain ranges on a perfect afternoon. The following track, “Turn It Around,” has to be one of my favorites. It’s upbeat, clapped rhythm drives you. The bass line sort of sneaks in and collaborates with the warm synth and keyboard. The fierce vocals makes it nearly impossible to get out of your head once you hear it. Their vivid and descriptive lyrics such as “She’s looking through the wrong end of the telescope,” carry strong imagery, depth, and meaning. It really is an amazing blend of bouncing keyboard, bold harmonies, raw emotion, and infectious rhythm. If you were an early-adopter and listened to either the EP or singles they released earlier this year, you’ll be familiar with five of the eleven tracks that made the cut. “Turn It Around,” “Go Home,” “Hey, Doreen,” “Tempest,” and “Don’t Just Sit There” were all released over the course of the year leading up to the full-length LP we have today. “Go Home” slows it down for the first time on the album and maintains shimmering harmonies and vocal interplay as it slowly ascends to the climactic chorus. Full of emotion and dynamics, it’s almost as if the listener is gradually reaching the summit of a mountain and surveying the view. “Hey, Doreen” was another instant favorite of mine. The snare drum blasts the beat and welcomes the dancing melody of the keyboard and the fuzz of electric guitar. At this point you’re really starting to gain a feel for Lucius’ unique signature sound. Their amazing use of rests and silence in their music only serves to further enhance the sounds and messages of these tracks. Not only do they keep your ears from going into autopilot mode, but the guitar’s funky rhythm in the chorus and the bridge’s popping synth loop are sure to keep you moving. “Tempest” is yet another exciting track with soaring vocals, spaced-out synth, echoing reverb, diminished keyboard chords, their trademark snare cadence, and flawless transitions between guitar fuzz, smooth synth, and the thumping bass line. “Nothing Ordinary” you’ll notice has a similar rhythm to “Wildewoman,” with it’s galloping trot. Featuring a stunning chorus with descending vocals proclaiming “Nothing ordinary!” it really showcases the talent these ladies and gents have honed. “Nothing Ordinary” would’ve been just as fitting an album title, in my opinion. “Two of Us on The Run” tells a tale of moving on over a dreamy backdrop and fingerpicked minor chords. In classic mountain folk fashion the track is intimate, captivating, and builds and adds ones layer at a time, as Lucius does so well. The amazing outro swells with the vocals and synth rising and falling almost like a siren sounding, alarming us to run…but while holding our heads up. Possibly my favorite track of all, “Don’t Just Sit There” has been remastered since it’s first release on the EP. It’s stripped-down acoustic feel and emotional vocals float through your mind begging the questions, “Did you find love? Have you found love?” The bridge sparkles with intergalactic island vibes, while the track closes with the warm distortion of the guitar, cymbal splashes, and an awe-inspiring climax and decrescendo. You’ll have to hear it to believe it. “Until We Get There” features a rhythm like that of a sped up heartbeat. Fingerpicked and palm-muted guitars are nice accents on this track. Laessig and Wolfe’s voices call the listener away to a better world while simultaneously drawing you in like sirens. Of these final three tracks, I love the piano-led waltz of “Monsters.” The almost haunting vocals explain “I know I am taller, but there are still some things out of my reach.” An emotional tale of living and learning, it’s as if you’re walking through moonlit woods on a flawless Autumn night. Oh Lucius. You already have me.